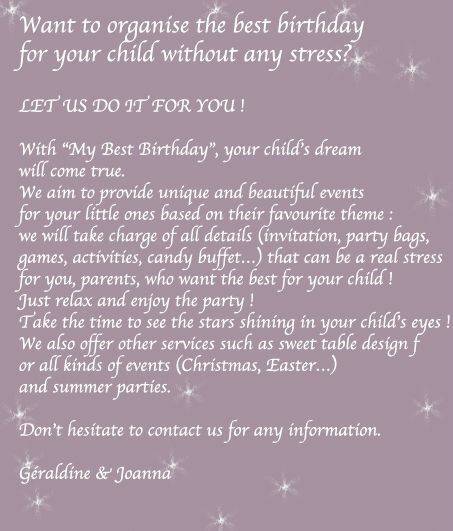 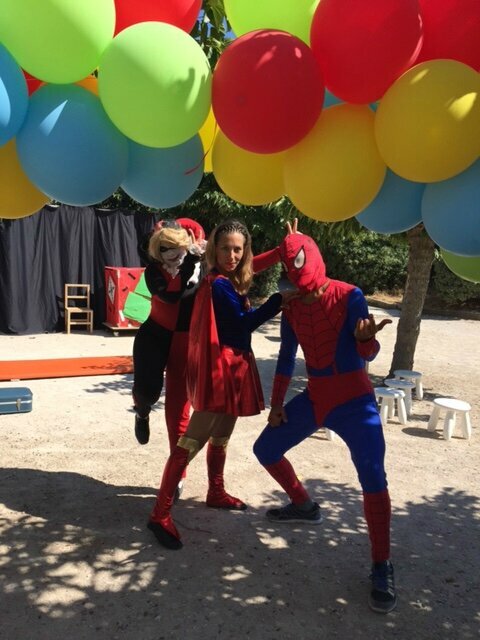 on the French Riviera : Monaco, Saint-Tropez, Cannes , Mougins , Saint-Jean Cap Ferrat, ... Joanna & Geraldine, two kid birthday planners from My Best Birthday agency, organize luxury and themed parties for children with personalised sweet catering and original animations. 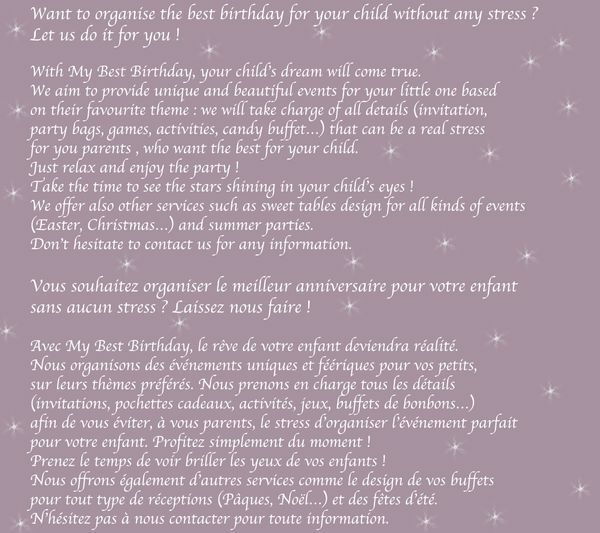 Just relax and take the time to see the starsshining in your kid's eyes ! 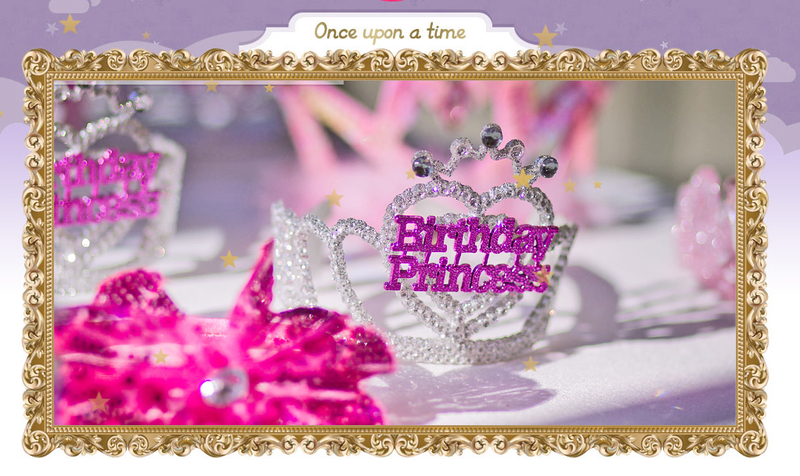 You are looking for an original and funny animation for your kid's birthday ? 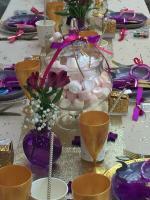 Contact us and we will propose a complete program for a magic event on the theme of your choice. 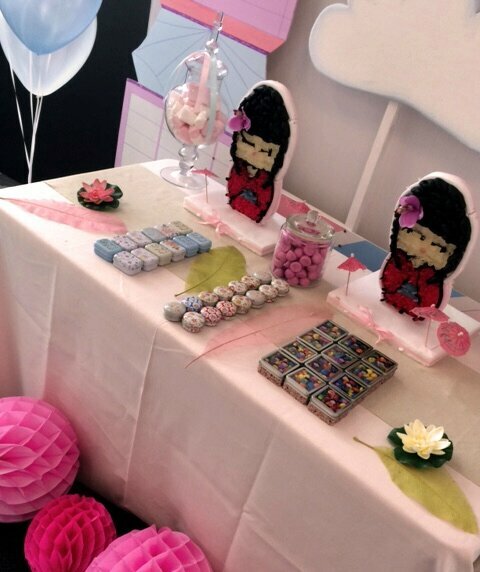 All decoration will be detailled on this theme, and animation will be full of surprises ! 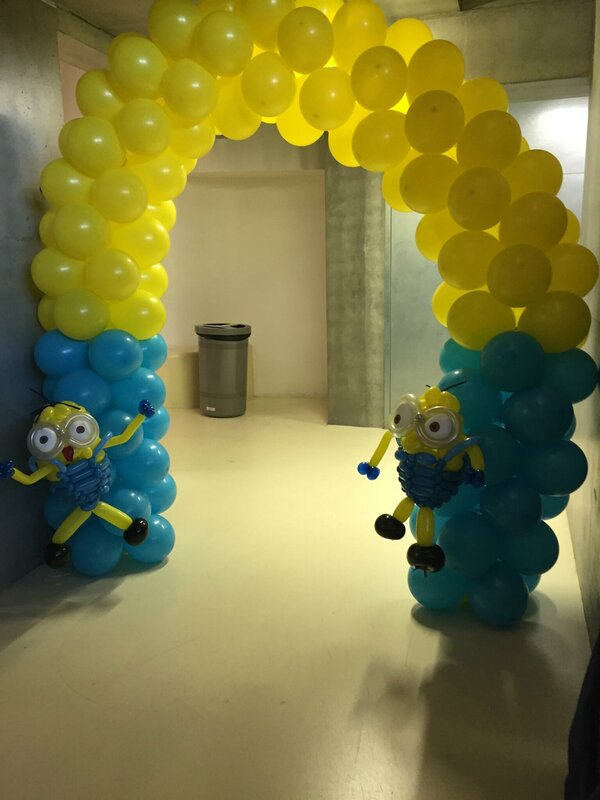 Our animator are professional and will take the kids in charge complety so you, parents, can just enjoy the moment without any stress. 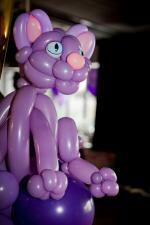 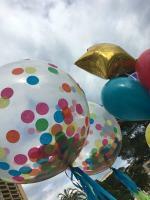 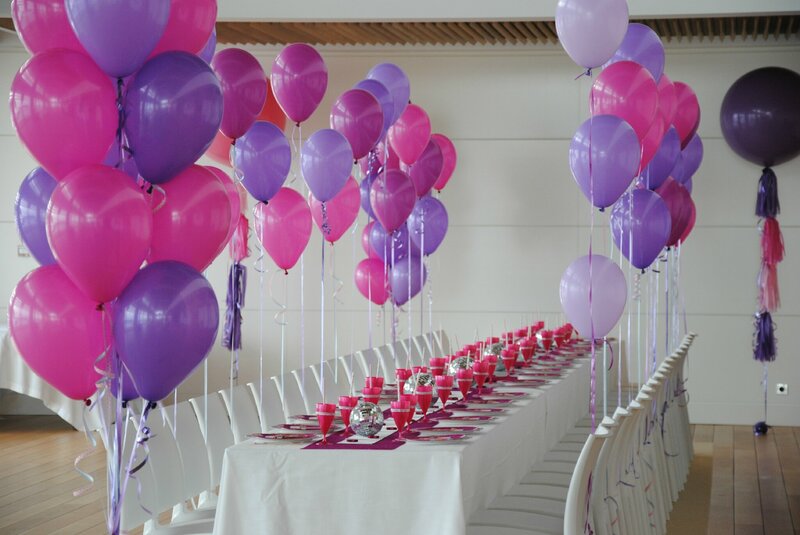 All the balloon decoration will be provided by our team and on the color of the party. 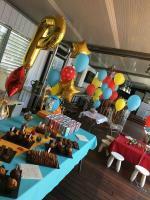 Each birthday punctuated with lots of games, shows and craft activities. 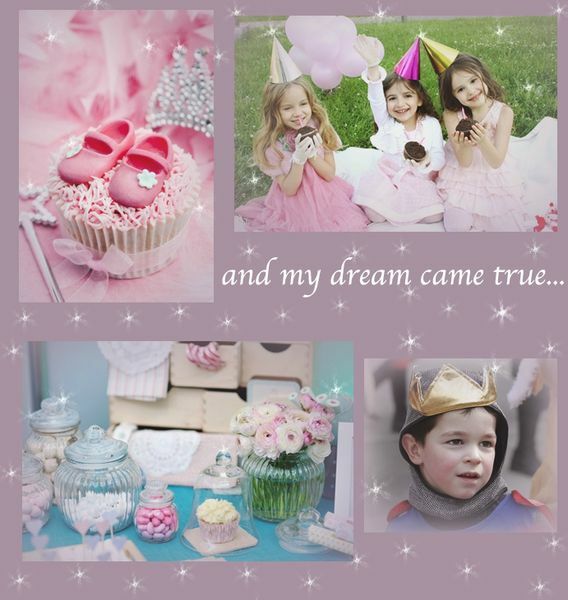 One of best moment will be the birthday cake time with all the children singing for the little prince or princess and a beautiful birthday cake on the theme of the party ! And to finish, kids will go back home with a nice party bag as a memory of this party. 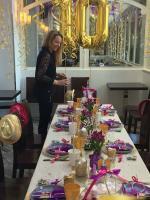 For a sweet and luxury birthday party on the French Riviera, from Cannes to Monaco, call us and we will create the event of your dream. 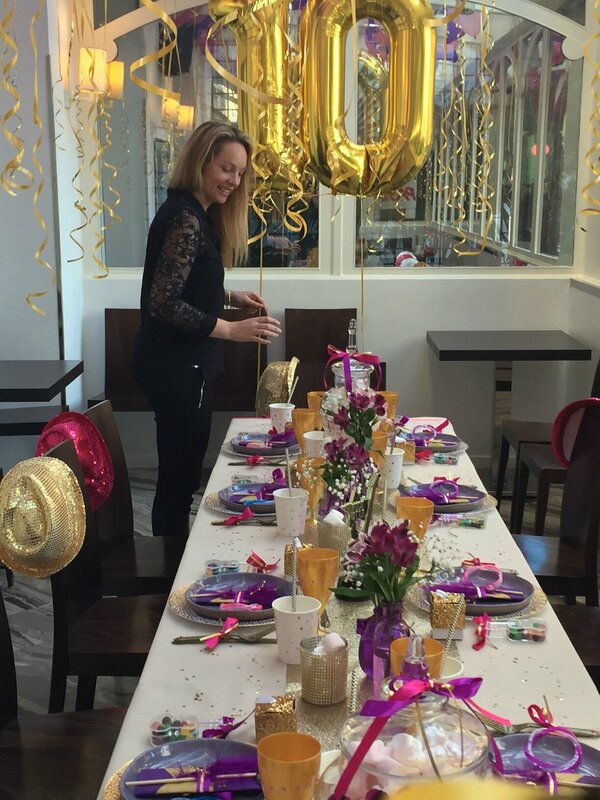 For this sweet little girl, a popstar decoration was actually what she wanted for her lunch with her best friends. 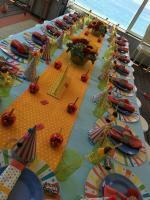 Each detail was on the theme, each ribbon was on the right color. 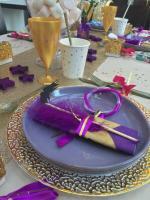 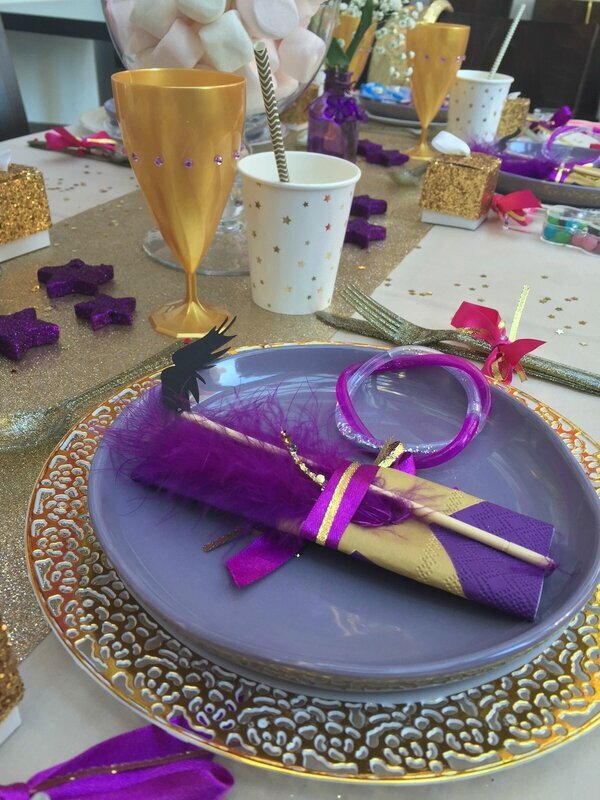 Also we love to craft to create cute and sweet napkins with purple feather and golden line. Flowers in purple vase and guitar candies boxes with sparkling pink, gold, purple and pink balloon decoration, disco hats ! 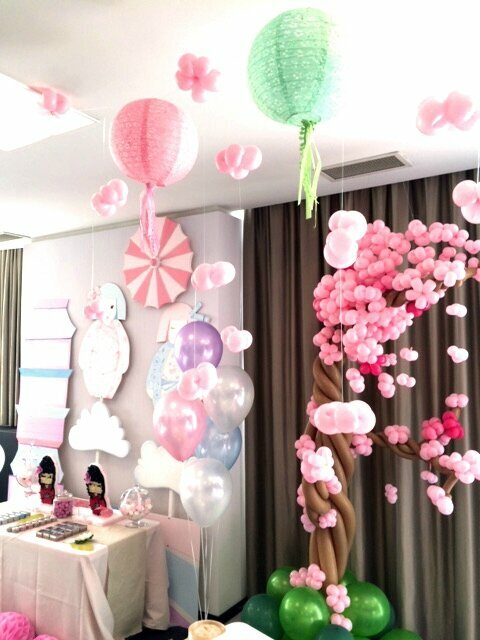 Decoration, flowers, balloons, animation, magician, artists, shows... Everything to make your children's eyes shine ! 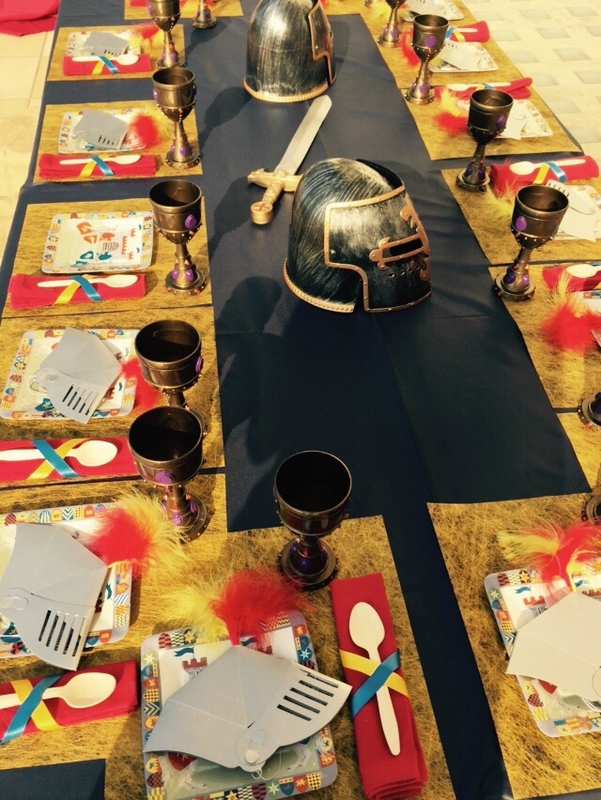 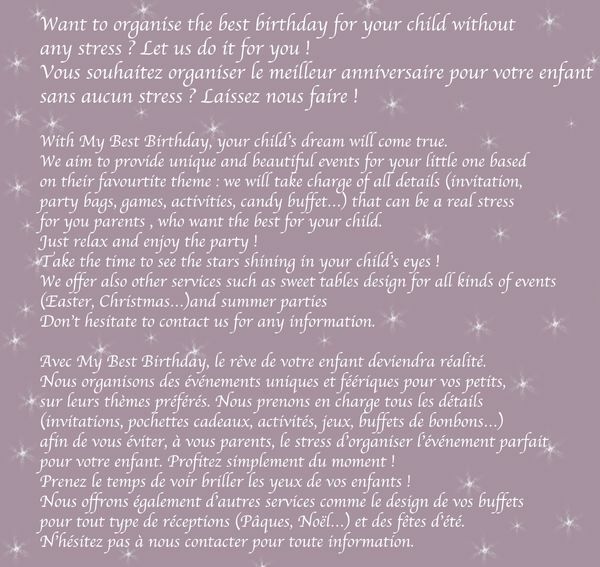 For a children birthday in Saint Tropez or in Cannes, we will create the best party for your little one's ! 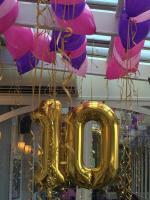 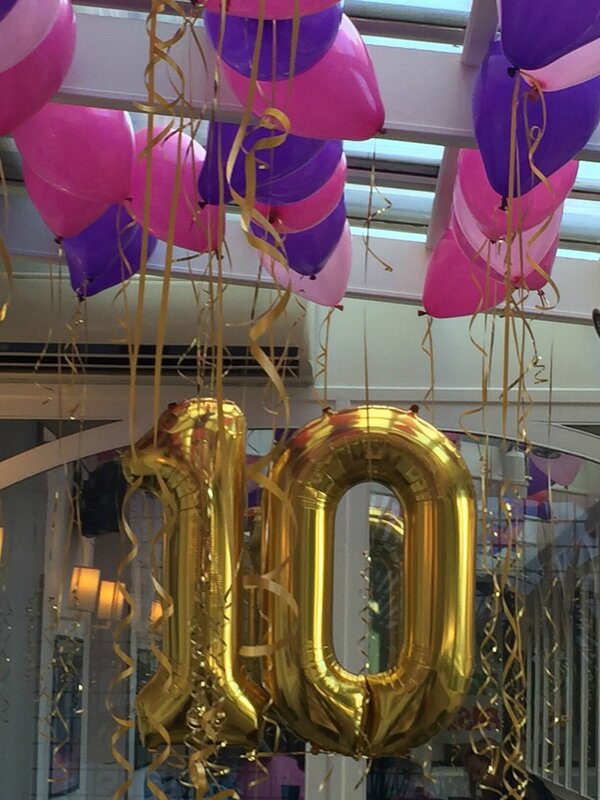 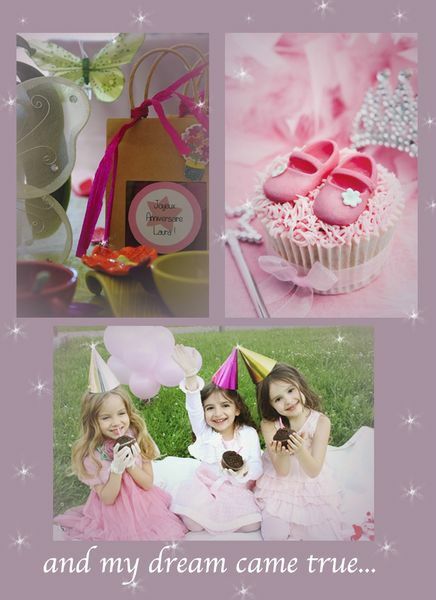 A luxury and personnalised birthday party in Monaco, Meridien Beach Plaza for 2 little girls. 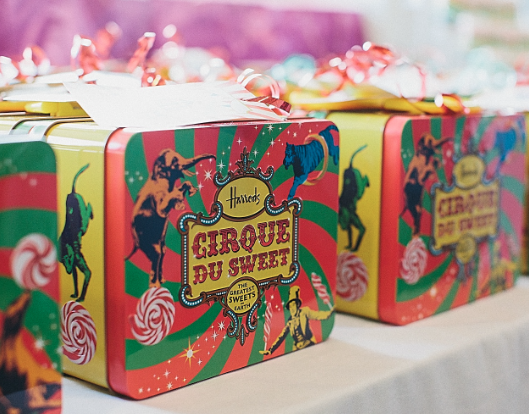 Activities, cakes, balloon decoration, magic and circus show, everything for a beautiful birthday party ! 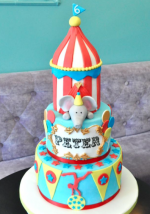 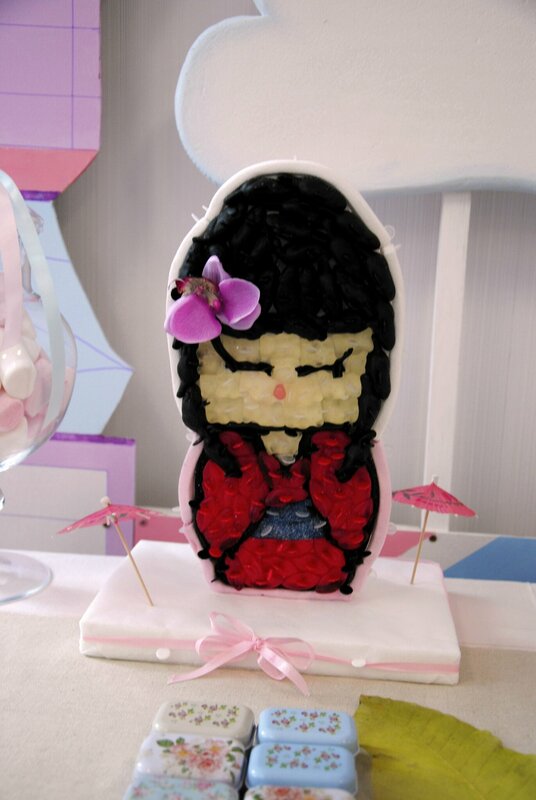 Everything is created for your little one's birthday party !